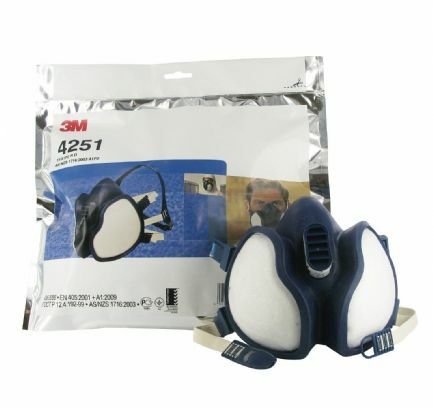 3M Gas/Vapour and Particulate Respirator. 4251 FFA1P2 R D: This product helps protect against certain gases and vapours in concentration up to 10x Workplace Exposure Limit (WEL) or 1000ppm (Whichever is lower) and particulate concentrations up to 10x WEL. Warning: Users must be trained and have read all User Instructions. Misuse may cause serious injury, servere or life threatening illness. No natural rubber latex components.